We wanted to tell you a bit about our friends at EZstring and how this fantastic product came to be. Two guys from South Carolina thought stringing guitars was a hassle, and there had to be a better way. So, Bobby Rochester, who manages a web development team at IDG, had an idea that he described to his friend Travis Tucker, a machinist, and a vision was born! After almost a year of research and development, they have perfected the design to the model that exists today. If you think that stringing your guitar could be easier, check out this amazing and affordable product that will make your next re-stringing project the easiest one yet!!! We are proud to have world renowned luthier Harry Fleishman on the Avian team. In addition to providing his design and build expertise to us, he is also very active on a number of other professional fronts. We want to share with you a bit of background on Harry. Harry Fleishman has been building custom guitars for more than 35 years. In his Sebastopol, California shop he builds about eight guitars and acoustic basses each year. Harry is the director and primary instructor at Luthiers School International, and formerly directed the American School of Lutherie. Harry also designs guitars and basses for Fender Musical Instrument Corp.
As an active member of the Guild of American Luthiers, Harry has lectured on acoustic guitar amplification and chaired a panel on unconventional acoustic guitar design. He has lectured internationally on the topics of guitar design, amplification, acoustics, and multi-scale fretboards. Harry’s research and experiments in asymmetric design, multi-soundport and multi-tonewood instruments, as well as his work developing lightweight basses, have influenced many builders. Posted on May 7, 2015 by Steve R.
Check out the limited time special pricing! The EZstring accessory to make changing strings easy and quick is on sale right now at 50% off MSRP. Available in clear or black. Posted on April 30, 2015 by Steve R.
We recently received this amazing note from Ryan Annable regarding the Skylark he had just purchased. “The first thing I noticed when I sat down with the Skylark for the first time was the build. This guitar is solid! You can tell it was made with an attention to detail and quality that you would expect to find in a guitar worth twice the price. I was expecting it to feel foreign in my hands due to its unique shape and style, but the case was quite the opposite. Within seconds I was playing it like I had owned it for years. It plays like a dream as well! The clarity and even tones that come out of this guitar from high to low are absolutely phenomenal. I’ve had 2 people comment so far on how smooth it sounds when I’ve played it. I wish I could take the credit for this, but it was 100% the guitar. I chose this particular model because of the sound-hole placement. I was curious about the increased resonance it claims to give. This is no myth! The notes ring out and hold so beautifully that you will wonder if you have the reverb cranked even when it isn’t plugged in. I was asked to write a short piece for a local event here in town this week, and I decided to use the Skylark for it. After I sent it to the event organizer I received a note back asking what effect I had used on the guitar to make it sound like that. I hadn’t used any effect what-so-ever. It was purely the guitar and the recording mic. That’s how great this thing is! The demi-cutaway is also a nice feature. You’re able to reach the higher frets without issue, and without compromising the sound at all like a full cutaway does. Thank you fro the kind words Ryan. We love hearing stories like this from our customers. If you want to check out the Skylark for yourself click here. Posted in Acoustics, Guitars, News	| Comments Off on Another Happy Avian Owner! Posted on April 25, 2015 by Steve R.
It has only been a couple of months since we announced the availability of the fan fret (multi-scale) option on the Songbird and Skylark. The interest from guitar enthusiasts has been tremendous. Not only lots of inquiries but also lots of orders with this option. The trade publications have also heard about what we are doing and here is the first review that was recently done and published in the April issue of Acoustic magazine. Read it here. 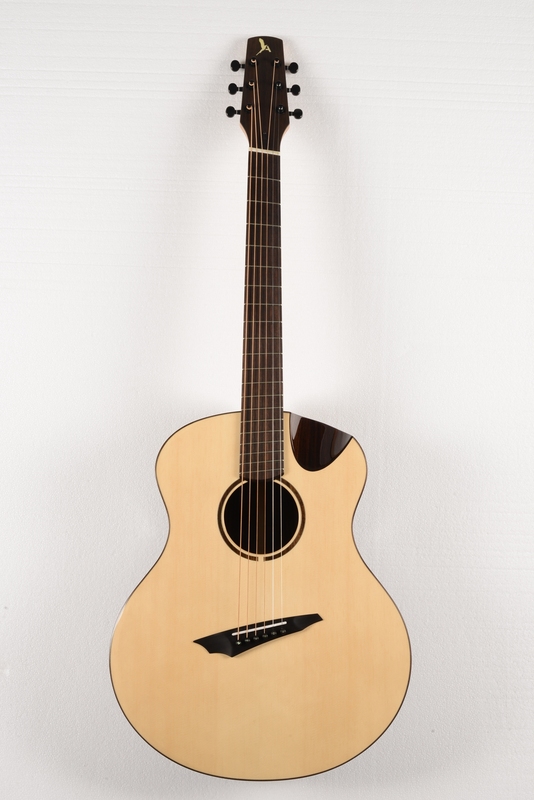 You will not find a more affordable, high quality fan fret acoustic than the Skylark and Songbird. Configure and price yours here. Posted on March 4, 2015 by Steve R.
The Music Fair is a blog/e-gazine for and about musicians and the gear and people behind them. Their main focus is on less-known brands and names. What we particularly like is that they care about the quality more than about the logos. They want to show people that there’s more to choose from than just Fender, Gibson and a few other major league players and that the smaller companies are often a much, much better alternative. Their mission is to promote and facilitate growth of those smaller brands, increasing their visibility and competitiveness on the global market. The folks at The Music Fair will be doing articles, reviews, interviews and features on artists, manufacturers and music industry people in general – they also want to prove that there are more ways to have a successful career in the music business than just being a rock star. They will be talking to gear producers, managers, venue owners, promoters, etc. Visitors to their website can also expect giveaways (we’re told that the first ones are coming very, very soon), competitions, play-throughs and demos – they are also working on the renovation and the setup of a recording studio to ensure top quality videos. All of this sounds very exciting. Wow! We love this concept. Get over to www.the-music-fair.com and check it out. P.S. 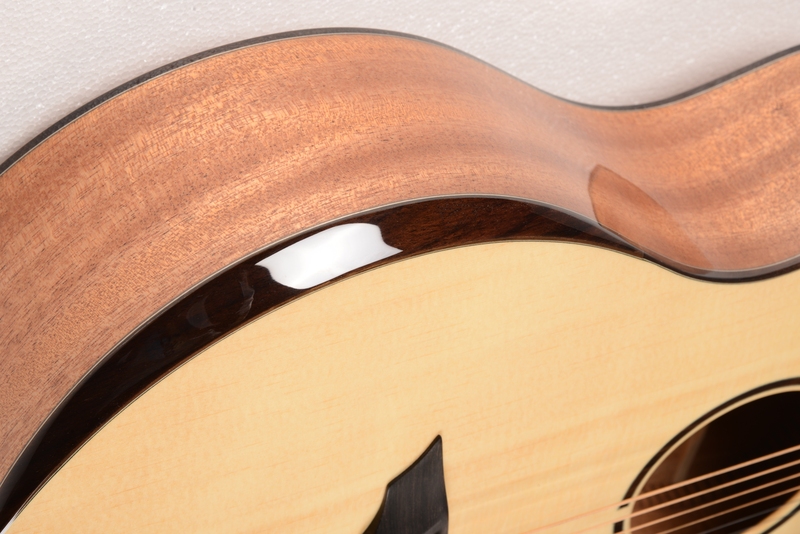 They did a review of our acoustics that you don’t want to miss! Posted on February 10, 2015 by Steve R.
Sam Taylor of East End Love performs his original song titled “Loaded Gun”. He gets his amazing sound from his Avian Swift. Posted on February 3, 2015 by Steve R.
We are now an authorized retailer of EARasers, the musician’s Hi-Fi earplugs. Whether you are a musician, attend concerts or are regularly exposed to music played at high levels, Earasers will provide the protection you need. Manufactured by a 45+ year hearing aid company, and developed by their lead engineer – a musician for over 20 years – Earasers filter out loud noise while still allowing you to hear at a safe, comfortable level. Once the damage is done, it can’t be reversed, and the only way to protect yourself is to use hearing protection before the damage is done. Posted in Accessories	| Comments Off on Hearing Protection! Posted on January 22, 2015 by Steve R.
We are pleased to announce that the Skylark and Songbird now are available with an optional arm bevel. Luthiers will tell you, creating a full arm bevel on an acoustic guitar is a very skilled piece of craftsmanship. The upgrade is not only a beautiful piece of workmanship but players will also appreciate the additional comfort that is offered by the arm bevel. Posted on January 4, 2015 by Steve R.
It has been an exciting year for us as we began the introduction of Avian Guitars to the Canadian and US markets. 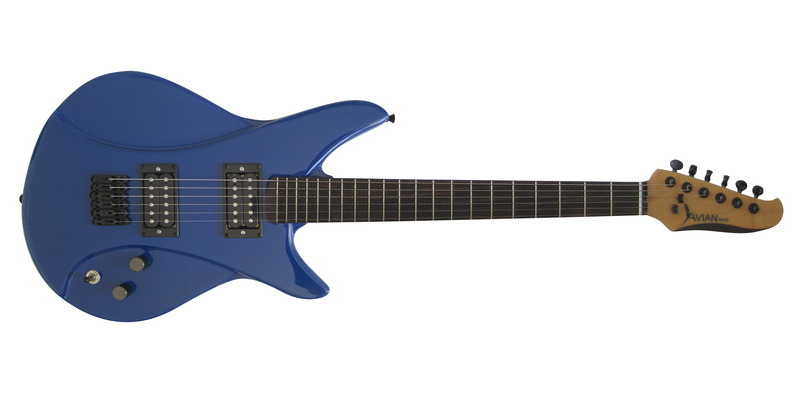 Lots of interest and even more importantly lots of positive feedback from the people who bought one of our guitars. 2015 holds new models and options. Stay tuned. Posted in Uncategorized	| Comments Off on Happy New Year 2015!